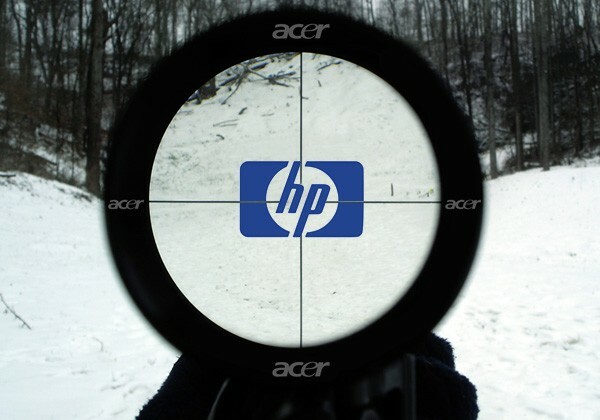 Some might call it a little too ambitious but Acer might just be on to something with their positive expectation of overtaking HP in worldwide laptop shipments before the end of 2010. The Taiwanese company is one of the biggest players in the laptop market and Chairman J T Wang told investors in a conference call this week about their seemingly ambitious but actually based on facts assertion. Data cited in the Wall Street Journal by Gartner shows that Acer shipped 9.49 million mobile computers in the first quarter of 2010, just ahead of HP’s 9.47 million. Positive vibes are also being felt on the desktop front, where Acer aims to ship 10 million units this year alone. Acer is also investing $ 15 million into “developing a smartphone platform based on Google Inc.’s Android.” Guess Acer also wants to start testing the waters for a possible take over or at least a nice share in the mighty lucrative smartphone market.